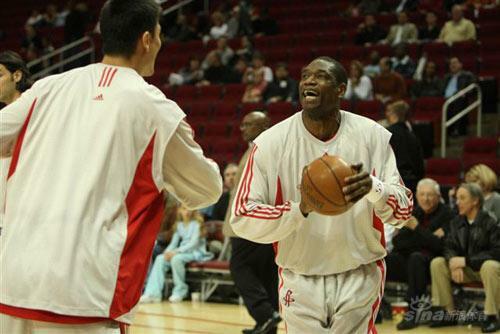 Yao was ok in the clutch. However he must make more plays in the 4th quarter. the whole team needs to practice free throws. 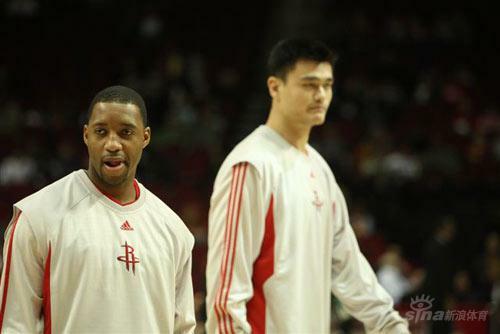 can the rockets ever have enough of a lead going into the 4th quarter? 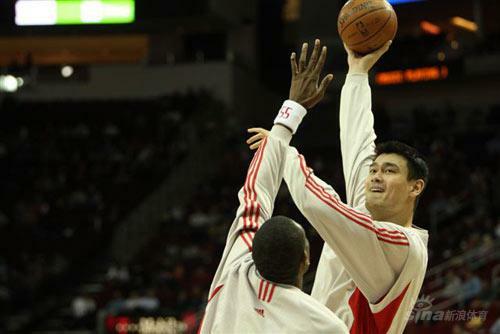 I think Yao only scored 4 points in the 4thQ. 1 was a missed tip in and 2 FT. He needs to call for the freaking ball! and got to take to the hole hard. 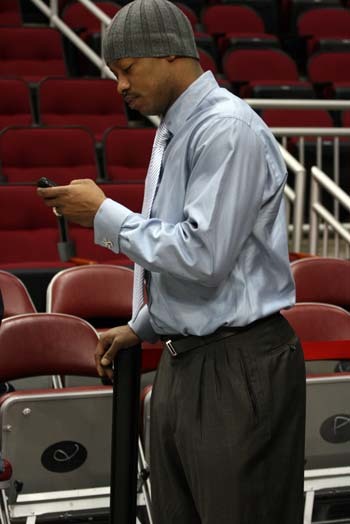 Make the shot or goto the FT line. 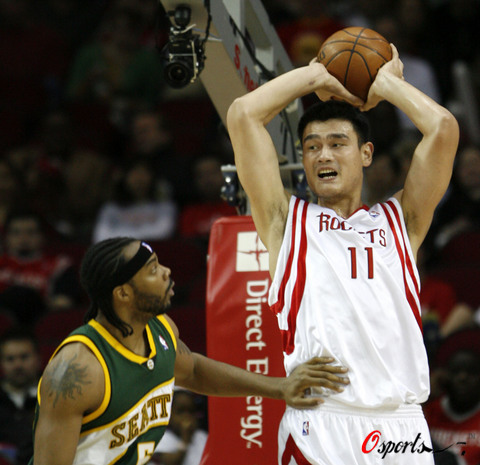 and please no fadeaway midrange shot!. 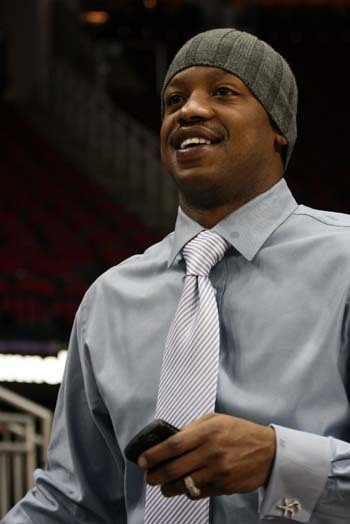 I almost feel like he doesnt want to be the man in the clutch. Maybe he is used to T McBreaky(back) always hogging th ball in the end. I hope he knows this is his team not T(brokeback mountain)Mac's team no more. 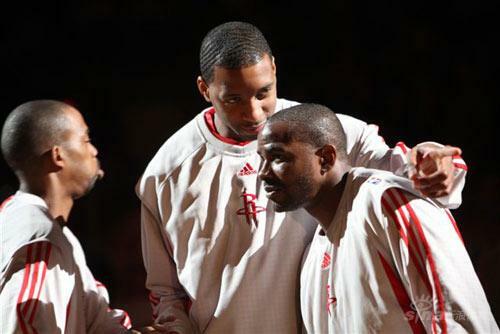 He betta freaking let him and everybody on the team know he wants the ball in the clutch!! YEA WUTT U GONNA DO WHEN THE YAOMANIAC RUNS ALL OVER YOU!!!!!!!!!!! Need to finish this before I go back to office. First some photos at the pre-game shoot-out practice. 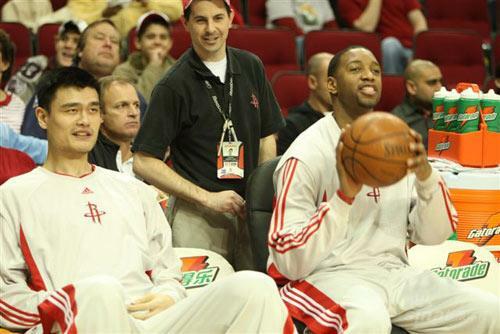 As usual Big Yao came earlier than every Rockets and started practicing his jumpers and free throws. 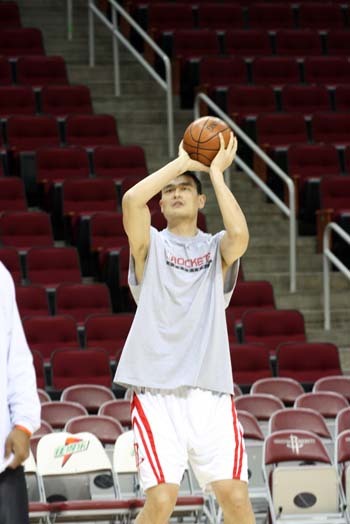 He had come back to Toyota Centre as early as 09:30am to practice his free throws. 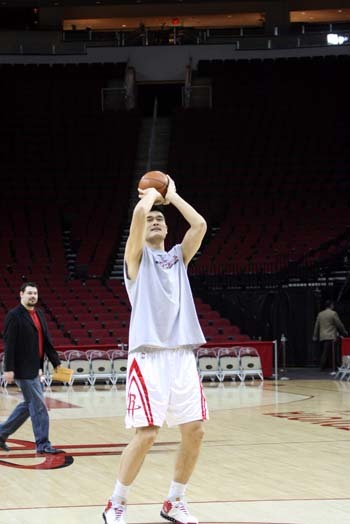 He was p!$$ed about missing 3 free throws consecutively; so he came back early to practice 200 more free throws.